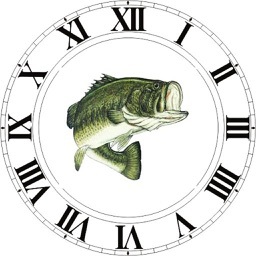 Best Fishing Times tells you the best time of the day or night to catch more and bigger fish. 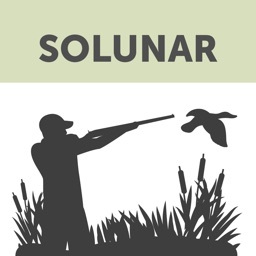 You've probably heard that the best times to fish are at dawn and dusk, but there's more to it than that. 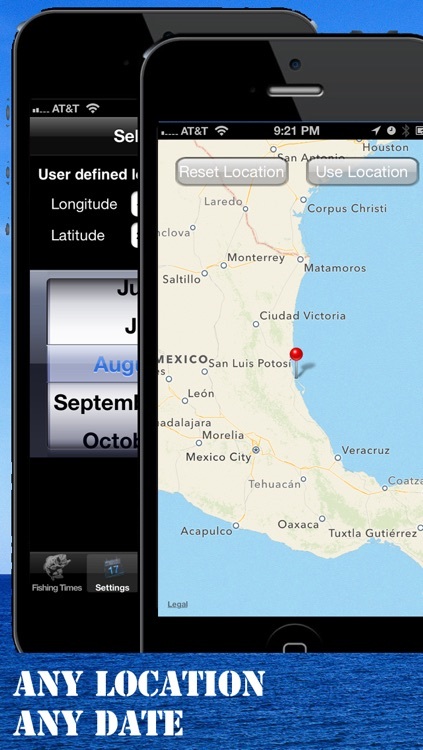 This app can help you consistently catch your limit by giving you the exact times to hit the water! 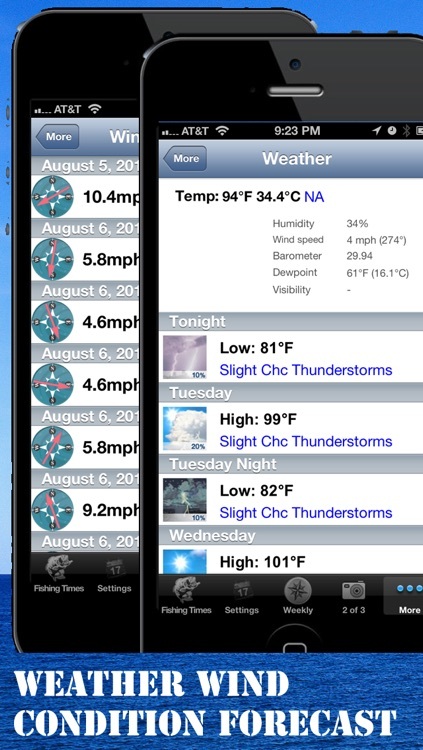 Click "...More" to learn why you should download this App today! "All I can say is I took my two boys out during the time it said.... 2 catfish, 2 brim, 1 small mouth bass. We are not fisherman just a dad and 2 boys"
Planning a fishing trip? Don't head down to the water before you put Best Fishing Times in your virtual tackle box. 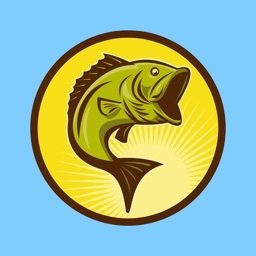 Whether you're new to fishing or a seasoned angler, this app helps ensure your success no matter where on Earth you fish. 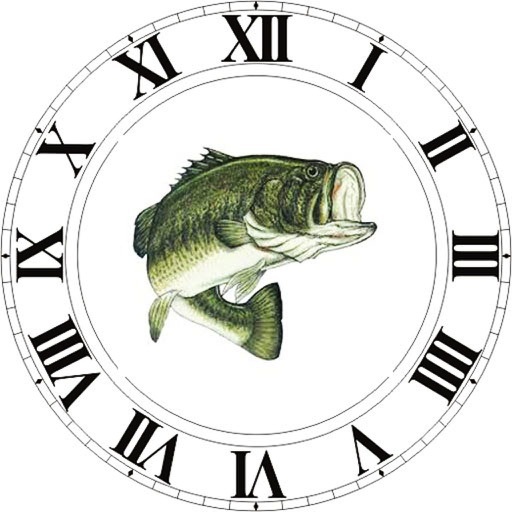 You've probably heard the phrase "Timing is everything", and those words are especially true for fishing. It's not enough to know where the fish are. If you want to catch them, you have to know when they're going to be biting. Everyone knows there are certain times of the day or night that fish are more active; and until now, most people have relied on pure luck to get their line in the water during those times. Of course there have always been dedicated anglers who don't believe in luck. They spend hours before a fishing trip checking weather conditions, studying moon phase charts and performing complicated conversions for sun and moon positions, geographical location, time zone changes and other variables. Sound like a lot of work? It doesn't have to be. No matter which of these two groups you fall into, Best Fishing Times was designed for you! 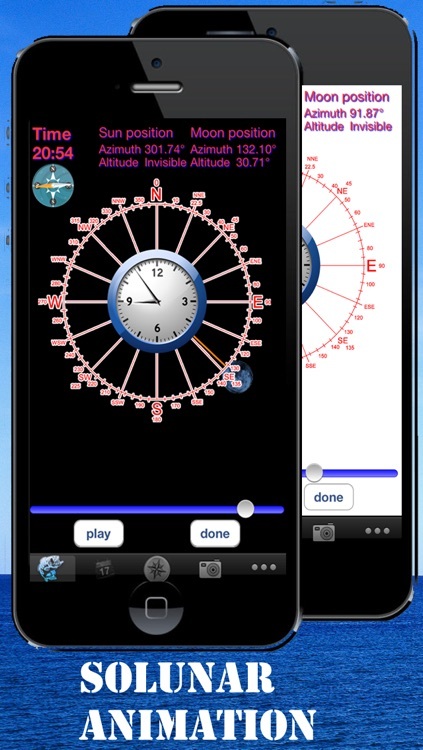 This app takes luck out of the equation, and eliminates the need for math and charts. 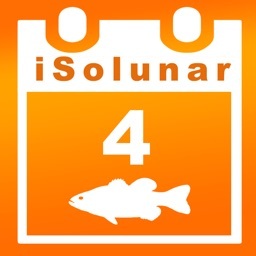 Just pick your fishing location and the date you want to fish, and get all the information you could ever want before you even leave home. Whether you're planning for next week or next year, Best Fishing Times will get you to the water at the right time of day to catch your limit. 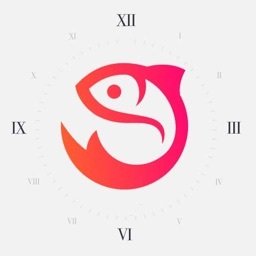 With a few taps of your finger, you'll see the best day of any week to go fishing, and the times of day the fish will be most active. 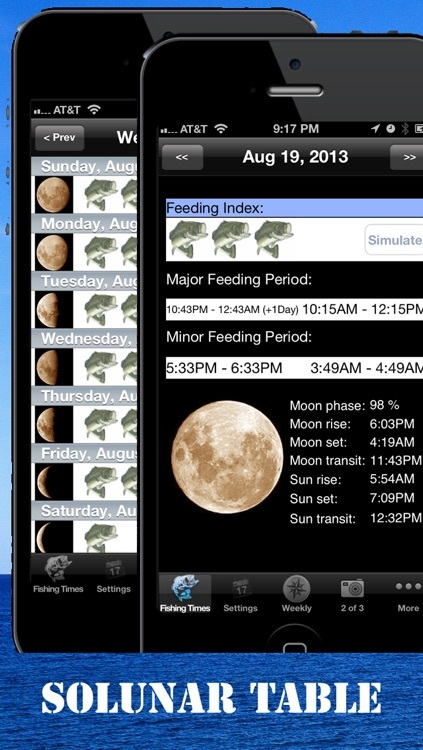 If you prefer to check the data yourself, Best Fishing Times puts all of the information right at your fingertips, including moon phase, moon rise and moon set, major and minor activity periods for any day, and even includes a graphical sun and moon simulator! Best Fishing Times will help you catch so many fish that your friends will think you're just telling fish stories. Fortunately you can keep and share photographic evidence right from the app! 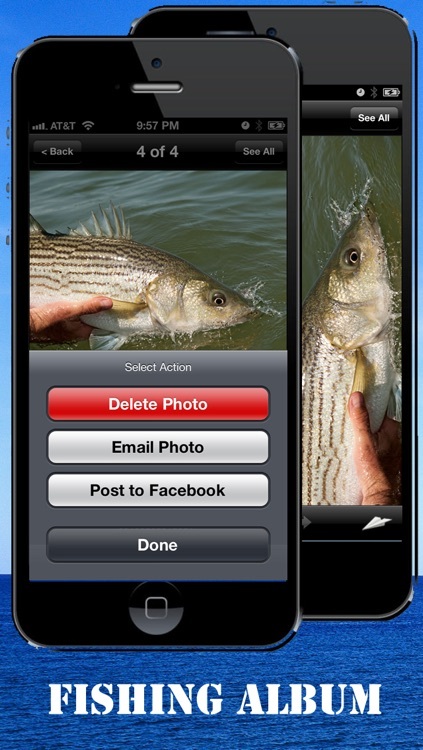 Best Fishing Times includes a fishing album that lets you share images via email and Facebook Connect! You wouldn't go to the ball park without knowing whether or not there's a game scheduled, so why would you go fishing without knowing when the fish are biting? 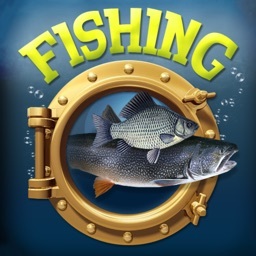 Download Best Fishing Times now and stop casting blindly. You'll spend less time fishing and more time catching.